Such are a number of both new and well-established restaurants in the centre of Sutton Coldfield that the area has its own Restaurant Quarter, which has been gradually thriving for the last couple of years. 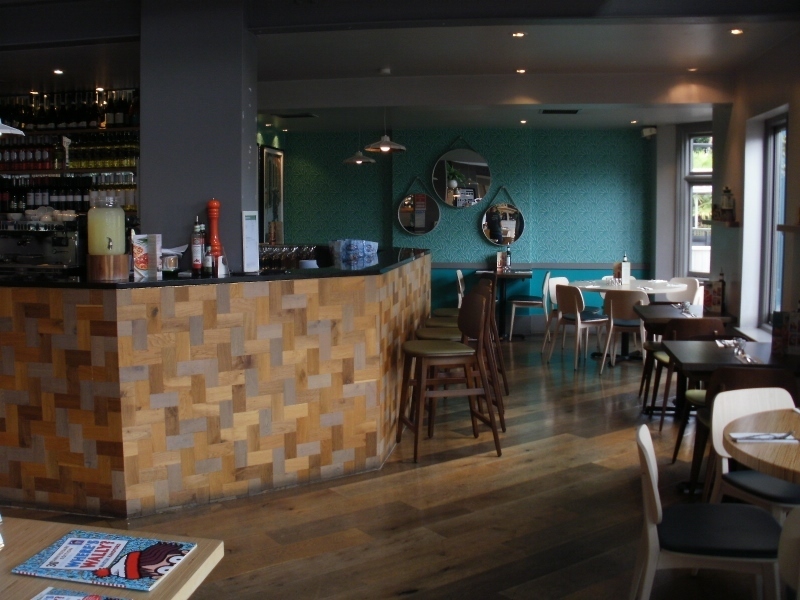 Sutton Coldfield's Restaurant Quarter is intended to provide a collective identity and voice for the town centre's burgeoning restaurant scene, with a current total of 16 participating food outlets together offering a cosmopolitan mix of independent and chain eateries offering everything from Spanish and Italian to Greek and Bangladeshi. So, it was that I decided to pay a return visit to Sutton Coldfield several years after I left the area for pastures new. And, with more than a drop of Italian blood in me it seemed the natural thing to do to visit the ASK Italian restaurant on Manor Road, which is just yards from the main Gracechurch Shopping Centre, but is equally well placed for the nearby Sutton Park nature reserve, grade ll listed Empire Cinema, and the main railway station serving Sutton Coldfield town centre. ASK Italian is conveniently located on the town's main ring road alongside a couple of Sutton's popular pubs. 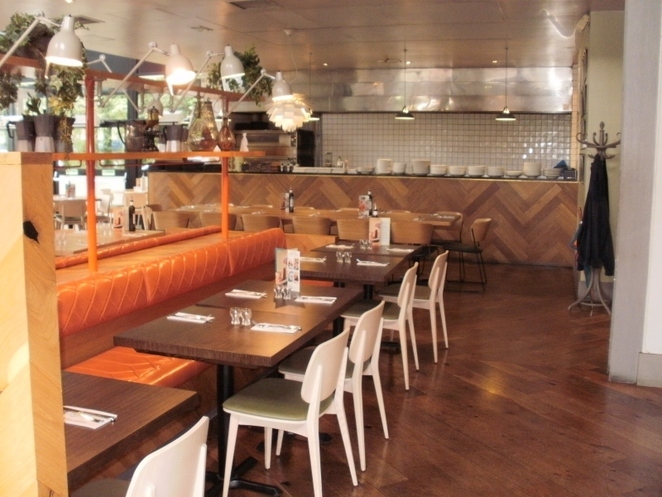 The restaurant chain is renowned for its varied and full Italian menu, specialising in serving stone-baked pizzas and pasta dishes on wooden boards. 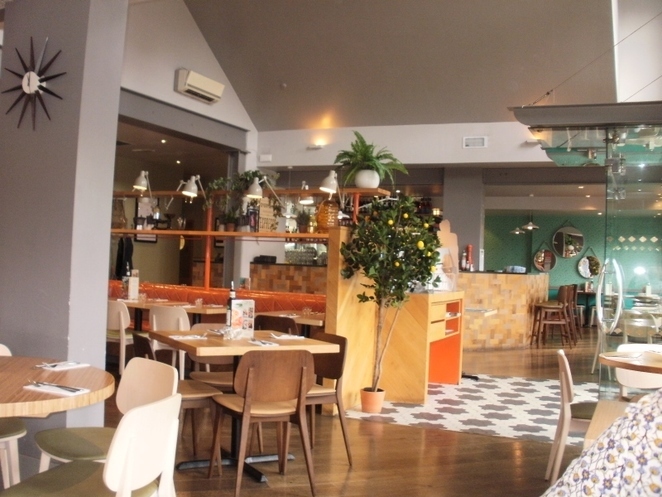 The restaurant, which is open from 11am to 10pm Sunday to Thursday, and 11am to 11pm on Fridays and Saturdays, prides itself on providing both adult and children's menus using fresh produce and ingredients sourced from Italy itself. My wife and I visited ASK Italian on a midweek lunchtime in order to put in some time looking at the next door shopping centre. It also meant we didn't want to stock up on too many carbs and calories, so we decided not to go too overboard when ordering from the menu. I always like the look of starters in restaurants, and this was no exception, so I opted for the Mushrooms al Forno at £5.95. My wife had originally decided that she didn't want a starter, but one look - and smell - of the numerous mushrooms stuffed with mozzarella and Riserva cheese, breadcrumbs, garlic and onions, and baked on Italian bread, changed all that. They tasted as delicious as they looked and smelt, with or without the side dish of garlic mayonnaise. For our main courses, my wife went for Lasagne, at £10.95, one of the range of oven baked pasta dishes served with a crisp side salad. Although the salad consisted just of lettuce and red pepper strips, the Lasagne, which was made up of green egg pasta sheets with beef and pork ragu sauce, topped with creamy béchamel sauce, looked extremely appetising and, I am told, did not disappoint. 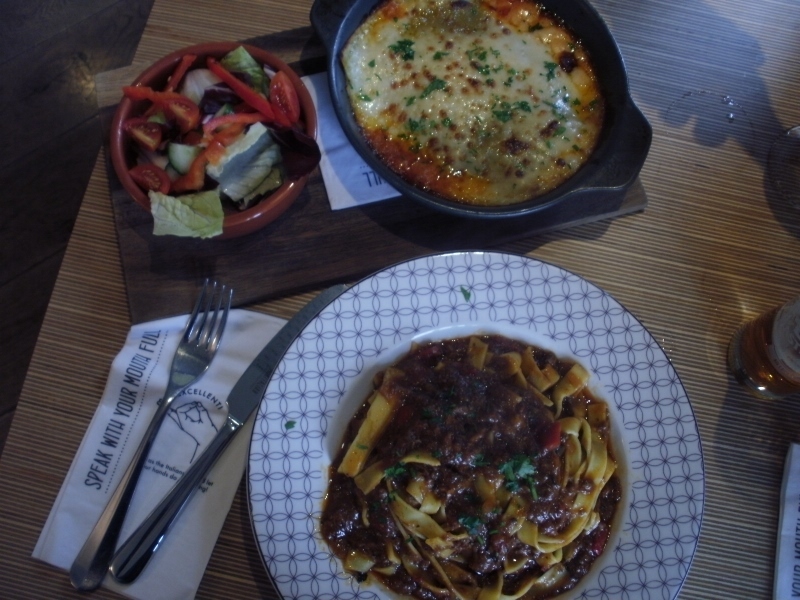 I was encouraged to choose one of the new dishes on the menu, namely the Beef Brisket Bolognese at a slightly dearer £13.25. The menu described it as slow cooked beef brisket and chianti ragu and, without doubt, the portions of beef were both plentiful and delicious together with the pasta and sauce. The choice of beer, for whatever reason, was disappointingly limited, but fortunately I can drink bottled Peroni as readily as most other beers. It certainly proved an ideal complement to the food on the table, but be wary of the Peroni Gran Riserva, served in a bottle with a dark brown label, which is extremely strong in terms of the alcohol content. 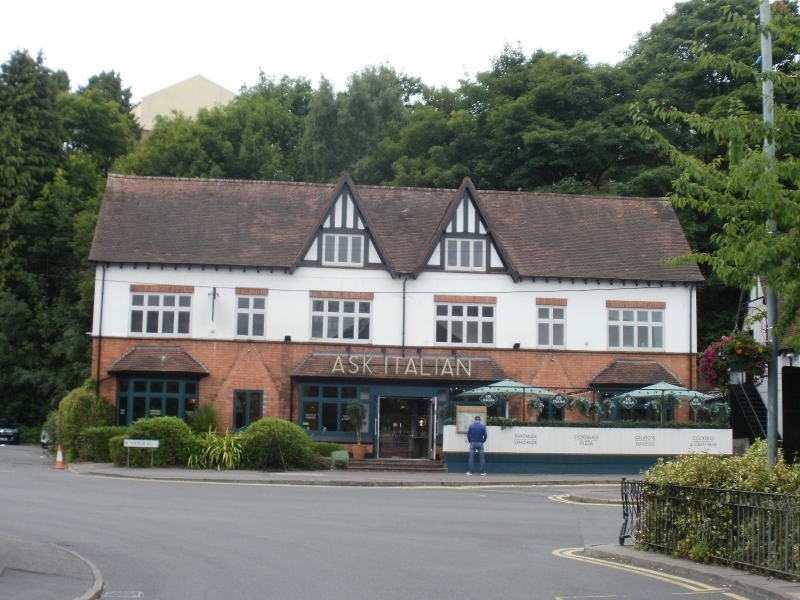 For further information about ASK Italian in Sutton Coldfield please visit www.askitalian.co.uk/restaurant/sutton-coldfield or call 01213 548 834.